Do you like PvP battles? Do you want to become Arenamaster or Gladiator? Dving.net will help you to achieve any heights even if you dont have time to play with your team. 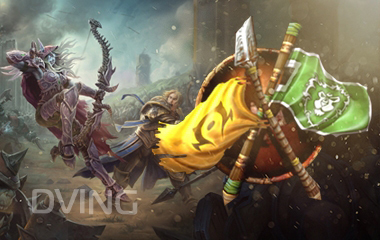 You can buy wow rating from us and get access to high-level equipment and weapons. We can boost up to any rating - 2000, 2200, 2400, 2800 - up to rank one gladiator - the most prestige pvp title in game. We are a legal entity with 5 years working experience. We provide confidential and safe service for anyone. There was no single account banned during our operation. Our team consists of multigladiators of several wow arena season. We are highly trained professionals who can do any task in effective and efficient way. You can purchace arena rating and coaching from us, it will be usefull especially for new players. Coaching. Our experienced employees will help you with any details at arena - how to play in effective and efficient way, how to predict your oponent, hot to use your rotation, positioning and abilities. Personal driving. Our employees can play your character and complete any tasks. Boost arena rating in 2v2 3v3 5v5 from 1800 to 2700.